Security is the first concern people have and everyone wants to keep their data and information protected. Apple has ensured to keep security in mind before designing any software update. The first step to secure your phone is to set a password. You don’t want anyone to guess your password and unlock your phone. This is a convenient method to protect your phone from theft. Users can set a password according to their preference, they can either set a 4 number password or alphanumeric password that will make pass-code strong to unlock. It’s better to set a long password to gain higher security. With touch ID you can not only set a password but even bio-metric identification. You can scan your finger print to unlock your phone. The Touch ID is more secure than any password that can be predicted. By enabling Touch ID your fingerprint can be secured and no one can hack your touch id. You can enable this from Touch ID & Pass-code and add different fingerprints. If someone is really concerned with the privacy, it’s highly recommended to implement two-step verification for Apple and i Cloud. Two-step verification ensures to identify your ID before logging into i Message, iCloud and FaceTime. To do this, you will have to get yourself registered on other devices and you’ll get the 4 digit verification code through SMS or Find my Phone and your device will verify whenever you log in iCloud or App Store to download an app or making a purchase. Find My Phone is a backup option when your phone gets lost or stolen. This allows you to see where you device is and uses phone built in GPS system to locate the address on the map so that you can track your phone and report complain to the nearest Police station. This feature is activated to track your lost device and if a user is unable to locate his phone he can erase the data. A Virtual Private Network is an essential tool that provides high security to the users. This tool is necessary for iPhone users who use public Wi-Fi and the unknown ones. Installing VPN is highly recommended for people who do a lot of traveling and have to use public data. In order to secure their information, they can install this and save their private information details from leaking and hacking as they can easily seize the data. VPN acts as a security and doesn’t let hackers hack your information. Apps are present in the App Store, you can download Hotspot shield app. This will hide your IP address and protect your WIFI connection without letting hackers come in between. You can start using this app as a trial version for a week and pay a little sum of money to use it in the future. 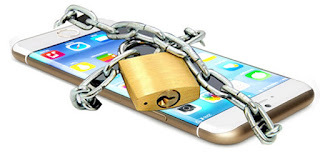 These are the five effectual tips that will help you protect your phone and secure your iPhone details in a great manner. If in any way your phone gets misplaced or lost you can implement these tips and protect your hope.